My guess is that they gave the book this name because it reflects a growing trend in America. They discovered that religious prejudice is much more prominent than racial prejudice and the author of the article said, “Surprisingly to me, dislike of “fundamentalists” was even higher than dislike of Muslims. Islamaphobia is acknowledged at least as a possibility, but prejudice against conservative Christians doesn’t even have a name. Lest you take comfort that Anglicanism is evangelical in nature and not fundamentalist, don’t think for a second that secular people know the difference because most Christians don’t either. Here is the good news. This research suggests that if you have been feeling like your faith is under attack, then you are not paranoid. But I have even better news. Our lessons today, diagnose the problem, tell us what to do about it and give us hope. Let’s first see how the texts diagnose the problem. I’m going to do something that I have never done before and that is to preach from the Apocrypha. Now before you run out of the building and call the Bishop to report me for heresy, allow me to explain. The Anglican Church holds the Apocrypha as deuterocanonical. That mean we see them to be edifying writings that are close to Scripture but not the inspired Word of God. That is why the lector said, “Here endeth the lesson” and not “The Word of the Lord.” That said, because they are ancient and edifying texts, while we are not allowed to draw doctrine from them, we may turn to them for wisdom as we would the Church Fathers or modern theologians or Jerry Springer. Consider how well this lesson from the Book of Wisdom diagnoses the problem. Why is there so much animosity towards Christians? We need to be honest and admit that some of it we bring on ourselves through being us poor examples. There was a beer commercial years ago that perfectly captured this sentiment. “You only go around once in life so grab all the gusto that you can.” Meanwhile the righteous are saying, “You don’t only go around once. This life is actually preparation for the life to come and you need to be prepared because He is coming back to judge the living and the dead.” As they see it, they are trying to have a party and we are consummate party poopers. So we need to go away. I saw an ad that was supposed to convince people to make a purchase but to me it demonstrated the sheer vanity of this “grab all the gusto” approach to life. There is a new Transporter movie out, and he is famous for driving a high end Audi, so I got on line to see what his car cost. It was something like $130,000. But what got me was the advertisement that went with it from the Audi dealer. It said, “Be the envy of every driver in Massachusetts.” First of all, I went to seminary in Massachusetts and so I know that drivers in Massachusetts don’t envy one another because the only thing that they are concerned about is how not to die in a fiery crash. But secondly, if making others envy you is a goal then that is one sad goal. How does impressing strangers who will forget all about you in about 15 seconds add depth to a person’s life? God desires for our lives to have much more meaning than that and so He warns us not to commit the sin of envy. It just another way that our very presence convicts them they are headed in the wrong direction and they don’t want to hear it. That is the diagnosis. Now let’s consider what our lessons tell us that we are to do about it. What are we to do about this hatred toward Christians? I take two things from our lessons. The second thing we are to do I take from our lesson from James. I heard a parishioner say the other day that he thinks James is quickly becoming his favorite book and I am right there with him. There is so much practical wisdom in it that you could spend a lifetime learning from it. At first blush it seem like James is giving them quite a tongue lashing, even calling them “Adulterers.” Imagine how you would feel if next month Bishop Lyons got into the pulpit and called us that? But rather than merely a tongue lashing I see the Apostle making the strongest of declarations that while the Church must be in the world we MUST, MUST, MUST get the world out of the Church. Why? We cannot be effective for the Kingdom of God if we are continually in conflicts and disputes as James speaks about. We cannot extend the Kingdom with everyone wanting their own way or envying what is others or jealous about one another. 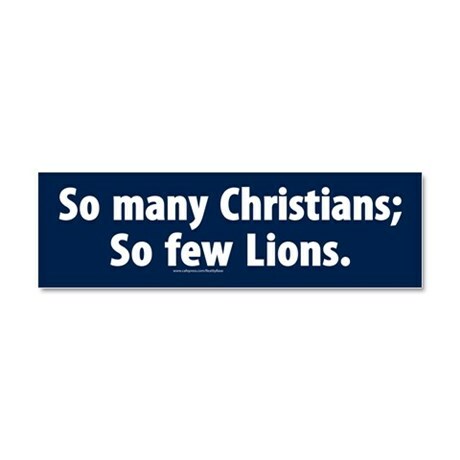 We can’t be the hands and feet of Christ in the world if we are acting like a bowl full of Chinese fighting fish. So James’ council is that we have to make a decision. He says that friendship with the world puts us at enmity with God. Let me be clear. He is not saying that we cannot have friends IN the world, he is saying we cannot have friendship WITH the world and still be a friend of God. We have to make a choice. This reminds me of Jesus’ teaching about not being able to serve two masters. We have to make a choice. To be a friend of God means that you reject the values and standards and mores of the world. Or should I say that we are to reject the LACK of values and standards and mores of the world. I’m not about to claim that I have all of the world out of me but I must confess that I enjoy that Christianity is counter cultural, and I don’t mind being thought of as different. The world is so full of lemmings that I actually feel badly for them. They jump onto every cause trying to find meaning and significance and they find neither. First the standard to uphold was zero population growth. We only had a few years of food left so we need to stop having kids and so all the lemmings ran over to that camp and anyone who didn’t go along was considered a hater. But we didn’t run out of food. Then the headline was that were facing a coming ice age and it was all because hairspray and deodorant were killing the ozone layer. So let’s all have flat hair and become stinky to save the planet. They ran to that camp and all people with big hair that smelled good were called haters. But we didn’t have an ice age. Next came the pro-abortion crusade under the guise of women’s health and rights, which ironically ignored the health and rights of the unborn child. The lemmings ran over to that camp and again anyone who didn’t join in was a hater. Then came the plethora of “Free Tibet” bumper stickers owned by people who couldn’t find Tibet on a map. I could go on and on but you see the point. Each decade invented a new cause celebre for folks to run over and join before the world comes to an end, but the world has not come to an end. Why? Because Jesus is still on the throne, His Word is sure and true, His Church spreads His kingdom and it is a kingdom that will never be shaken. The world is full of lies and angst and chaos and that is why we must get the world out of the Church. We are to be built on the solid Rock of Jesus Christ who has said to us, “In the world you will have much tribulation but fear not I have overcome the world.” We should not be surprised by the world’s animosity towards us but we also must not fear it or react to it. Instead we must walk in the Spirit so that we do not fulfill the lusts of the flesh. We need to get the world out of the Church. The third thing I said that these lessons bring to us is hope but actually more than hope. I say that because there is a jewel of a line almost buried in the midst of James’ strong admonition. It comes when he tells us why we cannot be friends with the world. He says, “God yearns jealously for the spirit He has put in us.” The Message says that God is “a jealous lover.” That may be going a little too far as a paraphrase but don’t miss the point. For many people it is difficult for them to really grasp that God loves them but what this passage is saying is that He more than loves us, it says that He jealously yearns for us. That is what I mean by offering us more than hope. That is actually overwhelming. What would it do for your prayer life if rather than getting up in the morning and thinking, “I better say my prayers so that the Lord won’t be mad at me” you think, “God is yearning to be with me, why don’t I check in.” What would it do for your Bible reading if you got up in the morning and rather than thinking, “I have better read my Bible so that I don’t get behind in my plan,” you thought to yourself, “God is yearning to speak to me this morning, why don’t I open His letter?” What would it do for evangelism if rather than seeing it as our duty to spread the good news we saw God yearning to have others in communion with Him? Again it is an overwhelming concept to think that God yearns to be with us but that is what the text is saying. Get that down deep in your soul and see if it does not change your life! I admit that I am not there yet but it is a journey that I am looking forward to make. At the risk of making you mad that I didn’t just say this to begin with and sit down, allow me to summarize what I hear these texts saying to us. Bulletin: The world hates you. Always has, always will. Bulletin: God yearns for you. If God was on Facebook your picture would be on His profile page. Amen. Over the years I have had a number of people tell me that they were surprised to learn that most everyone else had as many issues in their lives as they did. When they first came to church, and saw everyone fresh and happy and nicely dressed, they got the impression that everyone else had it all together. But then they got to know some folks and they found it encouraging to realize that they were not alone in their struggles to get through life. What surprises people even more, however, is when they learn that they are not alone in their struggles with their faith. After all it’s one thing to admit that you are having financial or marital problems but how do you talk about struggles with your faith in Church without sounding like Judas Iscariot? As a consequence many Christians suffer in silence and some even wonder if they truly are Christian because they have so many questions and doubts and downright disbelief. That is why I love this Gospel lesson so. This is not a story of lofty theology or mysterious revelation. This is a story of a father in a world of pain for his tormented son, a man honest with Jesus about his unbelief and Jesus helping him so that the son would be healed. 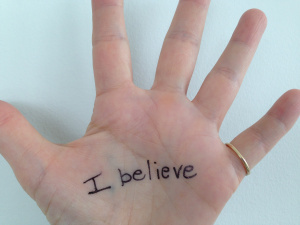 This story tells us some important things both about belief and about wrestling with unbelief. The lessons came into clearer focus for me when I contrasted it with another Gospel story. There were actually two options this week for the Gospel, the other one being from Mark 8. It is the familiar story of Jesus asking His disciple who people say that He is and they say, “John the Baptist, Elijah or one of the prophets.” Then Jesus asks them “But who do you say that I am?” And Simon answers, “You are the Christ.” Mark does not record it but Matthew says that Jesus said back to Simon, “Blessed are you for flesh and blood did not reveal this to you but my Father in heaven.” Then Jesus renames him “Peter” and tells him that upon his confession Jesus will build His Church.” At this point Peter had to be feeling pretty good that he aced test. The first difference that I noticed about these two stories is that while Jesus rebuked Peter for what was essentially unbelief, He did not rebuke the father of the possessed son who confessed his unbelief. I believe the two differing responses were because there is a difference between unbelief that fights against God and unbelief that struggles to find God. The first, as with Peter, puts us in league with Satan. The second honest unbelief of the father was like the prodigal son trying to find his way home. So if you are struggling with your faith, if you have unbelief, then know that you have not committed the unpardonable sin. In fact you may not have committed a sin at all if you are like the father who has a measure of belief but also struggles with unbelief. You must believe that rather than rebuking you, Jesus will help you. One of the many things that attracted me to Anglicanism was its honesty about the faith. We don’t pretend to be plastic saints. We admit out loud in this service that we have “sinned in thought, word and deed.” We are not proud of that fact, but that is our reality and we confess it. We want God no “to weigh our merits pardon our offenses.” We pray in a Morning Prayer collect that we would not forget God but that we would remember that we are ever walking in His sight. Why would we pray that we would not forget about God unless we are admitting that we have a tendency to do just that? Again we are not proud of that but that is our reality. I love in Anglicanism that we don’t try to dispel unbelief by having all the answers because we freely admit that we don’t. In fact I have learned to distrust any person or group that claims that they have it all down. For a brief while I watched a TV program where a minister from a different denomination answered questions that were sent in by his listeners. I thought it would be edifying to hear a different perspective. But I had to stop watching it because rather than being edified I got irritated. He would get this smug look on his face while repeating the question and then in a very condescending tone give you chapter and verse for any question that you may ask. There was not one thing that you could ask him for which he did not have an answer. That form of Christianity may be attractive to some but I am much more comfortable with embracing mystery, focusing on the essentials of the faith and being okay that the God of the Universe can’t be fully comprehended by my pea brain. A second contrast in unbelief from these two stories was how these two men approached Jesus. It is pretty clear that if Peter was rebuking Jesus that he was coming from a place of pride. The father by contrast was desperate and humbled himself before Jesus, seeking His help. Unbelief that comes with pride gets you called “Satan.” Unbelief that comes with humility gets your son healed. If you have the kind of unbelief that says you will not believe until God proves it to you, then I need to warn you that you are coming from a place of pride. Who are you to place demands on God? Or as Isaiah put it, “Does the clay say to the potter, ‘what are you making?’” Be cautious when you approach a Holy God. But if you are like the father and admit your unbelief and ask for help with it, then you are coming from a place of humility. Then you can be sure that God will come to your aide because the Scripture says that God opposes the proud but gives grace to the humble. So be humble in your unbelief. What I see here is Jesus addressing the father’s unbelief by calling on him to strengthen the belief that he did have. Jesus challenged him to take it a step further. He wanted him to go from the passive posture of “if you are able” to a position of faith that “All things can be done.” Jesus was demonstrating with this father what we are told in the Book of Hebrews. “Without faith it is impossible to please God. Those who come to Him must believe that God exists, and that He is a rewarder of those who diligently seek Him.” (11:6). We have to be careful here because there are a couple of dangerous ditches to stay out of when addressing unbelief and seeking to grow in faith. The first ditch is the familiar name and claim “theology.” This is where you choose a verse like “by His stripes we are healed” and if you claim it long enough and have enough faith then you will be healed. In fact some say that God is obligated to do so because you are claiming His word. There are so many flaws with this line of thinking that it is difficult to know where to start. But three major flaws with this are; first, it has you placing your faith in how much faith you have. Our faith is not in our faith; our faith is not even in our prayers. Our faith is in God from whom we accept weal and woe. Claiming a verse and demanding that God answers it seems a lot like Peter telling Jesus how things are going to be. As we have seen, Jesus doesn’t take well to that. The second flaw is that it treats faith like a formula and makes God to be like a slot machine. If you just put in enough faith, sooner or later it is bound to pay off. But true faith invites us into a relationship with God not a formula. And He is a God whose ways are not our ways and whose thoughts are not our thoughts. He knows better than we do what is best for us. He did a pretty good job running the Universe before we got here and now doubt will continue after we are gone. The third flaw is that the name it and claim it is demonstrably false. I’ve known and heard numerous stories of people who claimed their healing right up to the point of their death. And while one famous preacher of this ilk lives in a $12 million mansion, I wonder how many of his flock are experiencing such prosperity. As in all heresies there is an element of truth in the name it and claim it approach. I believe in part it came about to address the other ditch that we need to avoid. The other ditch is passivity. It is quite clear in this Gospel lesson that Jesus is calling on the father to express faith in Him before He would heal his son and move him from a state of passivity. Passivity is a danger because it will never move you from unbelief to faith. While it went too far in the other direction, part of the intent of the name it and claim it “theology” was to get people to pray boldly, to put feet to their faith, to be like Jacob and wrestle all night with the angel until you get a blessing. Passivity is a product of worm theology where I see myself as an undeserving worm so how could I possibly ask or expect anything from God? But we move from unbelief to faith when we realize first whom it is that we are petitioning and second who we are in making the petition. We are seeking a response from our loving heavenly Father with whom nothing is impossible. And we are coming to Him not as worms but as heirs of God and joint heirs with Jesus Christ. We are not beggars at the gate; we are sons and daughters of the King. We are a royal priesthood petitioning a Holy God as we come boldly before the throne of grace. Once the father moves from passivity to faith and asks for help with his unbelief then Jesus answers his request and casts the demon from his son. We can conclude from this that one way that Jesus will help us with our unbelief is also through answering our prayers. But one important thing must happen before He does so. For Jesus to increase our faith by answering our prayers, would you like to guess what must come first? For Him to answer our prayers, we must first pray! My how it would irritate me when my mother would ask, “Well have you prayed about it?” The reason I would get irritated was because I had forgotten to pray about it and I felt ridiculous having overlooked the obvious. When St. Paul calls on us to pray without ceasing I believe that he is encouraging us to pray about anything and everything. If you are a parent you know that there is nothing too small or too great for your child to bring to you if they need your help. And if you have to move heaven and earth to help them then you will find a way. Our heavenly Father’s love towards us is greater still and so in the same way there is nothing too great or too small to bring to Him in prayer. One thing that I did to help my unbelief years ago was to keep a prayer journal. I would write down the date and the petition in a notebook. When the prayer would be answered I would write that date down at the end of the petition. The more answered prayers that I had right before my eyes, the more my faith seemed to grow. Then I entered a season when I had to move numerous times and it was such a hassle to pack and unpack my library that for a long period of time I left everything packed, including my prayer journal. Many months later, when I was finally able to unpack my library, I came across my prayer journal. It was like finding an old friend. It warmed my heart to look back at all of those answered prayers but as I scanned the prayers that were not dated as answered, I realized the vast majority of them could now be dated. God in His faithfulness continued to answer even when I wasn’t faithful to keep asking. You Are God’s First Fruits. Three Televangelists got into a discussion about how they deal with the offerings received into their ministries. The first one said, “I draw a line down the middle of my study and I toss the offerings into the air and what falls on the right side of the line belongs to the Lord and what falls on the left side of the line belongs to me.” The second one said, “I draw a large circle in my study and I toss the offerings into the air and what falls outside of the circle belongs to the Lord and what falls inside the circle belongs to me.” The third one said, “I go into my study and toss the offerings in the air and I figure the Lord will take what He wants while it’s up there. Whatever hits the floor belongs to me.” There are many ways to deal with offerings. 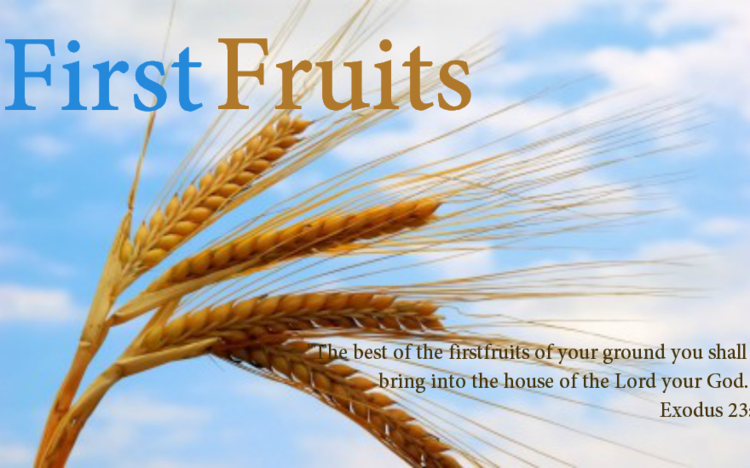 As the name implies, the first fruits are an offering to the Lord of the first of your harvest or of the first animals born in the season. These are taken to the priest who then offered them to the Lord. Second, by giving to God first, you are demonstrating that God is indeed first in your life. It is easy to say that we put God first but does our checkbook truly reflect that? I had a parishioner tell me once that her idea of the tithe was that she first paid all of her bills and then of what was left over they gave 10%. Now we are not under the law, and I don’t think that God would be mad with her for that approach. But I truly believe that she was robbing herself of a blessing by giving God leftovers because while God does promise to bless those who bring Him first fruits, there is no promise about last fruits. The third thing that happens with first fruits is that it was used to bless others. Part of the first fruit process was that you were not allowed to harvest to the corners of your land. By leaving the corners unharvested the poor, the widow, the orphan could come and glean what was left. They are not taking from you because remember, it all belongs to the Lord in the first place. Thus in first fruits you gave the first portion to the Lord as thanksgiving for His blessings and to acknowledge it is all His in the first place. Second you kept the reminder of the harvest to care for your family. And third you always left some for the poor. It is a beautiful picture of a balanced life where the Lord and the needs of others keep us from living self absorbed lives. As you well know, there is not enough money to make selfish, self-absorbed people happy so this is God’s plan to live healthy lives. With that as a background let’s go back to James. Now we can appreciate what a unique spin he puts on the idea of first fruits. Look again at the words in verse 18. “Of his own will He brought us forth by the word of truth, that we should be a kind of first-fruits of His creatures.” Let’s break that down. “Of His own will” meaning that God initiates all of this. “He brought forth” this is the language of birth, so God initiates our spiritual or second birth. How? “By the word of truth” which is the Gospel. By God’s initiative we are born again through the Gospel of Jesus Christ. Why? “that we should be a kind of first-fruits of His creatures.” In this case rather than first fruits being an offering that we give to God, WE become the first fruits that God gives to the world. What I find so powerful about this take of James, of we being an offering to the world, is that it is an echo of God’s covenant with Abraham. In Genesis God promised to bless Abraham but God also promised to make Abraham a blessing to the nations. And all of us who believe, over the millennia, can look back to father Abraham, people from every tribe and tongue and people and nation, and proclaim that God fulfilled His word. But let’s look more closely how James shows that we become first fruits. He begins, “Every good gift and every perfect gift is from above, coming down from the Father of lights with whom there is no variation or shadow due to change.” The first step in seeing ourselves as first fruits is understanding the goodness of God. The context of the letter is interesting. These Christians were facing some very challenging times. James wanted them not to misread what was happening to them and think that somehow God was punishing them or that He had abandoned them. He wanted them to understand that God’s intentions for them are always good and that He can even use the trials and temptations that they face for their good. And the extra good news about the goodness of God it is constant. There are no variations or shadows. Unlike the changes and chances of this life, which a beautiful collect aptly says makes us “weary,” God’s goodness is constant. He does not sit in heaven, and watch what we do, and then say to Himself, “Now I love him, now I don’t, now I love him, now I don’t.” God is good always and God does good always. The fruit of this perspective, as we understand God’s constant goodness towards us, is that we can have peace and that will make us a blessing to others. I came across a prayer from the Orthodox Church that intend to memorize and pray every day because captures so well where James is trying to take the Church. “Teach me to treat all that comes to me with peace of soul and with firm conviction that your will governs all.” Again being a person of peace, in this day and time is a gift or first fruits to others. A second way to grow into awareness of ourselves as first fruits is by seeing the goodness of God demonstrated by every good and perfect gift that we have received. The wonderful things and experiences around us, the people in our lives that love us, these are not there because we are good enough or smart enough or because people like us. They are not a result of luck or karma or the alignment of the stars. They are gifts from a good and loving heavenly Father who knows what we need even before we do. The question is not why bad things happen to good people. The real question is why any of us have had so much goodness comes to us when every one of us has sinned and fallen short of the glory of God. The answer is because God is good, all the time. Look again at the brief Gospel lesson. Folks bring before Jesus a man who is deaf and is speech impaired. That is all that we know about him. There is no indication that he believed in Jesus or that he wanted to follow Jesus or was a righteous man. All we know is that he was deaf and speech impaired. So why did Jesus heal him? Did Jesus heal him because he deserved healing? No. Did Jesus heal him because he had enough faith? No! Jesus healed Him because God is good and the man needed healing. For this man it was a good and perfect gift coming down from above. The same is true for us. Every good gift we have received not because we deserve them but because the Father out of his goodness determined that we needed them. Our greatest challenge is that we have not been trained by our world to look for these gifts. Look at the 5 o’clock news….then again don’t. It’s not filled with stories of all of the wonderful things that people did for one another throughout the day. It is filled with murders and crimes and knuckleheaded politicians. We need to train ourselves to be more intentional about looking for all of God’s gifts. When we do we will see them all around us. And when we treat them as gifts from God we will be so filled with thankfulness that we will be a blessing or first fruits to others. It is said that there are two types of people. Those who get up and say “Good morning Lord” and those who say “Good Lord its morning.” It’s pretty easy to discern which of those two people would be a blessing to be around. We cannot be a blessing to others if we are filled with anger. We cannot be a blessing if we are involved in filthiness and rampant wickedness. In fact just the opposite happens. As St. Paul put it, “bad company corrupts good morals.” If you are filled with anger or filthiness or wickedness you will bring people down rather than being a blessing to them. And lest you think that Christians are not involved in such things today as they were in ancient times, let me give you some bad news. A survey of the members of the infamous adultery website that was recently hacked said that 25% claimed to be evangelical Christians and 22% claimed to be Roman Catholic. Combined that is 47%, nearly half the total membership! Not that there is ever an excuse for adultery but these are not Christians who were wounded and vulnerable and made a terrible mistake. These are folks who had to hunt down this website, pay money to join, create a profile and then seek out others like some kind of predator. That is rampant wickedness and that is why Jesus was not exaggerating when He referred to this world as a wicked and adulterous generation. So what do we do about it? Two things. First James says we are to “put away” or other translations say, “put off” filthiness. Last weekend Beth and I got around a skunk and let me tell you that it would have been a bad time to visit us. Not only were we smelly but also we were peeling off clothes and throwing them into the garage as fast as we could. We were like Adam and Eve before the fall and we were not ashamed! If you don’t put yourself in sin filled situations then you don’t have to worry about falling to temptations. If you don’t want to commit adultery then stay off adultery websites. Unplug. And you need to do this because God wants to make you a blessing to others to build them up rather than being used by the enemy to tear them down. The second thing that James suggests to put off anger and filthiness and wickedness is to “receive the implanted word which is able to save your soul.” As we give ourselves to God’s Word it cleanses us from the world and draws us closer to Christ and that too makes us a blessing to others. One final thing about becoming first fruit. Recall that I said that part of the first fruit process included not harvesting to the ends of the property so that the poor could come and glean what was left. And so it is no accident that James ends this section in calling us first fruits by telling us that true religion is to care for the widows and orphans. We are to make provision for those who are vulnerable for the downcast and for the poor. Jesus tells us that if we only bless those who can bless us back then that is our reward. But He says that we will know true rewards when we bless those who cannot bless us back. He says in Luke 14 that we will be “repaid at the resurrection of the just.” I’m not exactly sure what that will look like but if there are rewards being given out on the day of the resurrection then I want to be standing in that line and I want you to be right there with me. Today we will see an actual example of first fruits. Today we will bless and send out our Mission Team to Bolivia. They are a kind of first fruits from the parish. They go down not to receive but to be a blessing to others. But of course you know that in God’s economy they will be blessed too. They are not alone in this calling. You may have never thought of yourself before as being God’s blessing to the world but you are! You are God’s first fruit. That is your calling. So I call upon you to go out there this week and be as first fruity as you can possibly be. And do it because God is good all the time. Amen.